d. You Should fill up all information correctly. 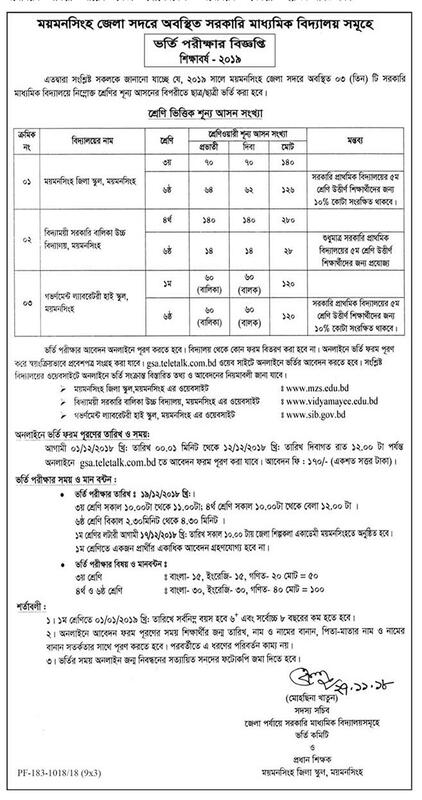 f. Download your copy and print your Application copy for future reference. g. Complete the payment in Teletalk mobile within 48 hours. Reply: Applicant’s Name, Tk-170/- will be charged as application fee. Your PIN is (8 digit number). Reply: Congratulations! Applicant’s Name, payment completed successfully for Government School Admission User ID is (xxxxxxxx) and Password (xxxxxxxx). After successful completion of the application and fee, you will need to login http://gsa.teletalk.com.bd/ with the user id and password and get the admit card. The student will have to appear in the written examination for admission and for admission. Tags: gsa.teletalk.com.bd. gsa teletalk com bd. 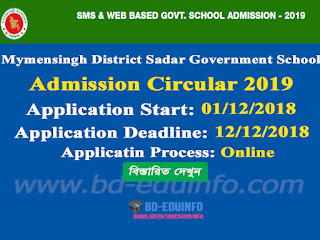 Mymensingh District Sadar Government Circular 2019 , Mymensingh District Sadar Government Admission Admit Card 2019, Mymensingh District Sadar Government Admission Result 2019.
gsa.teletalk.com.bd. gsa teletalk com bd. 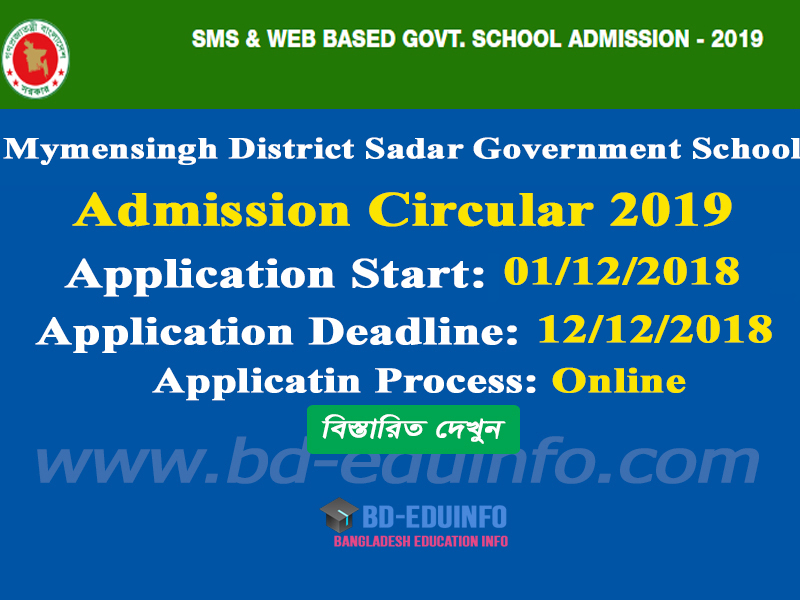 Mymensingh District Sadar Government Circular 2019 , Mymensingh District Sadar Government Admission Admit Card 2019, Mymensingh District Sadar Government Admission Result 2019.